Have You Moved? Or Are You Planning To? If you recently moved into a new home, no matter the reason, it can be very disruptive. You have to change addresses for everything – banking and investment institutions, credit card companies, and so many other businesses. So who would even think about the IRS??? I’m happy to tell you that this is probably one of the easiest dealings you’ll ever have with the IRS. The form can be filled out by just about anyone, so you don’t have to find time to visit an accountant and pay them for the service. There are no specific deadlines. Your IRS Change of Address form is just a click away. It’s posted on the IRS website here – it’s Form 8822. And to make it even easier, it’s a fillable form, so you can simply type the info right on your computer and just print and sign. To file the form you have two options. If you only deal with IRS once a year to file your returns, simply print out the form and attach it to your federal tax return. They will advise your state’s treasury office. It will take about 6 to 8 weeks for this form to be processed. As I mentioned before, if you send estimated payments, I recommend sending the form shortly after the move. You will need the mailing address, which depends on the state. You need to send it to the same address where you filed your last tax return. The mailing addresses for 2016 tax returns is on the IRS website here. Either way, this is an easy process, and can be a quick “do it yourself,” and in just a few minutes. This entry was posted in Moving, Taxes. Bookmark the permalink. At What Age Should Women Begin To Create Their Emergency Fund? Peace of Mind is within your reach. Click report image for access now.. Practical and easy to understand tips that you can put to use RIGHT NOW! Strengthen your Money Mojo! Your information and any correspondences will NEVER be shared or sold to a 3rd party, promise. This service is strictly confidential. Practical tips to use RIGHT NOW! 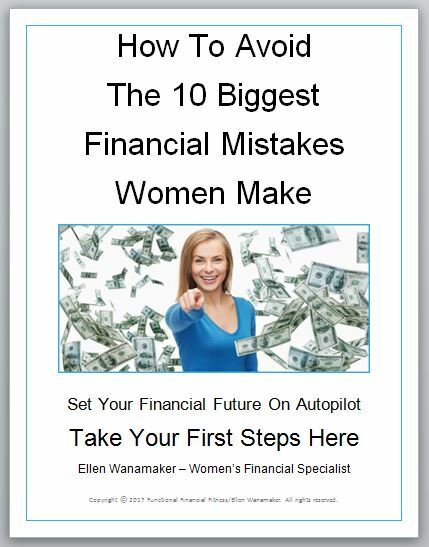 Set your financial future on autopilot and avoid mistakes! Yes, I Want FREE Tips and Bonus Money Report!